Showing results for tags 'wrightii'. 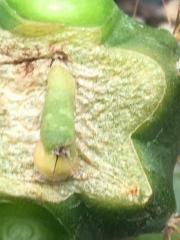 This is a very nice oblique view of my favorite Datura wrightti collected from the Mojave desert. Absolutely breathtakingly sweet fragrance is flowing across the field right now. No other Datura can compare with this one when it comes to sweet fragrance. 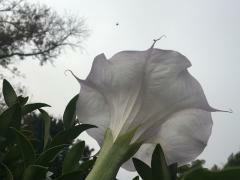 Datura wrightii on an overcast day. You can see the faint lavender coloring here much better and as stated before this lavender color can be variable on the same plant being more or less intense on any given day. What you can not see here however is the intensely sweet fragrance of this particular species. 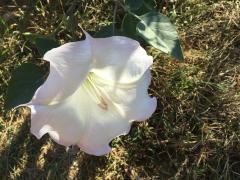 I don't know of any other Datura that is as sweet smelling as this one. 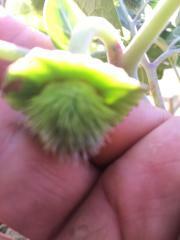 Datura wrightii immature seed pod showing soft lavender tint over top green. Soft lavender tint also seen over portions of stem in background. Soft velvety coating visible overlaying lavender on stem. 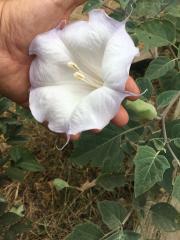 Edge of Datura wrightii flower often light lavender to dark lavender. This particular specimen collected in Mojave desert.